When it comes to rolling out the red carpet at your corporate event, your goal is to impress. 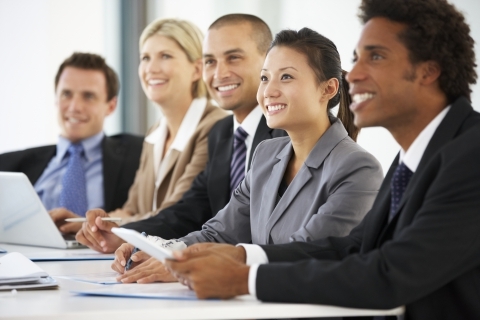 Pulling off a corporate event successfully gives your company a successful, positive reputation. So whether it’s a board meeting for 12 or an employee lunch for 30, you need to hire professional catering services in Los Angeles to help you pull it off. Some business owners assume that they can save money by preparing food themselves or bringing it in from a fast food restaurant, but in fact, doing that could actually hurt their business. Whether you are celebrating a goal or going over the annual numbers, business is still business and it requires your full attention. Professional caterers can free you up to focus on the business matters at hand instead of trying to divide your attention between cooking, serving, and making sure everyone has enough food. Caterers will do all of that and clean up afterwards. Successful businesses don’t bring in fast food to their big meetings. When you need to portray success and ambition, you need to pull out all of the stops. A professional caterer like Julie’s Home Cooking will ensure that every detail is taken care of so your guests leave happy, well-fed, and impressed with your business. It’s a win-win for you and your clients! Instead of worrying about buying, preparing, and cleaning up for your event, a caterer will handle all of that for you. It takes almost all of the hassle out of your event, taking one more thing off of your crammed to-do list. Have a client with a gluten intolerance? Another one who is vegan? Instead of wasting your time figuring out what everyone can eat (and what will taste good! ), let your catering services in Los Angeles do it for you. Just let the chef know about any dietary restrictions and they’ll work around them to create flavorful, healthy meals that everyone will love. 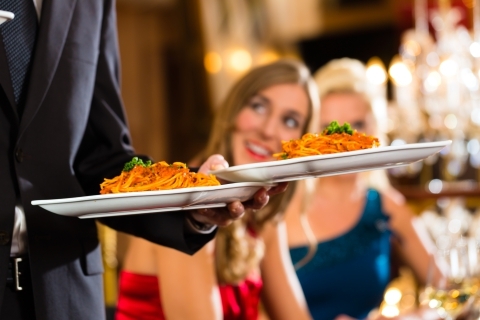 Using a professional catering services can actually save you money. Because they have all of the equipment necessary to present your meal, you won’t have to make any big purchases at the kitchen store. Plus, time is money when it comes to business, and the less time you spend on preparing meals for your meeting is more time you can focus on your business. Julie’s Home Cooking would love to help with your next corporate event! Contact Chef Julie for a free consultation about her catering services by calling her at 323-334-0269 or contacting her through her website. During your consultation, Julie will answer any questions you might have about her catering services and show you how beneficial and affordable a professional caterer can be in the Los Angeles area. Treat your employees and clients to the best home-cooked food in Los Angeles and contact Chef Julie today!